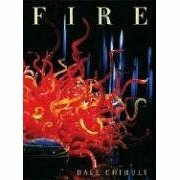 of our day is Dale Chihuly. classical elements of the material world. forms of different shapes and colors in the basket weaving into his passion of glass blowing. Up above, in the main picture of the video, we show one of the “Baskets”, the breathtaking Leopard Spot Basket Set with Yellow Lip Wraps, made in 1992.
critically acclaimed Baskets, Seaforms, Chandeliers and Towers. pictorial chronology documenting the development and history of the creations.